The Countertop Model Single Pocket Half-Page Brochure Holder is a free standing, single pocket, counter model brochure holder. 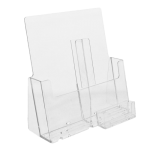 Our one piece injection molded part is ideal for material up to 6” wide. 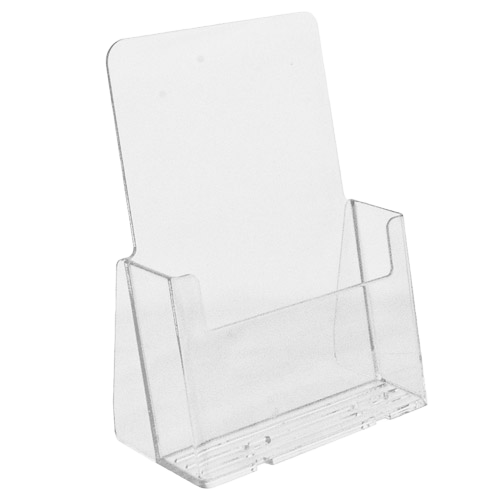 Our improved design has many features: anti-curl, extra capacity pocket, and it’s the strongest brochure holder in the industry. Ideal for material up to 6'' wide. 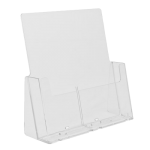 Many city attraction books, maps and tourist information fit well in this holder. 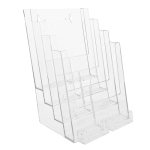 This is a great choice for compact discs, resource guides and small publication booklets. Tourism counters, convenience stores, shopping center kiosks, transportation depots, indoor counters, automotive repair centers.